Our company has a long history in the roofing industry. We started nearly 15 years ago when it was just one man and his tools doing roof restoration and repair work for local homes in the Brisbane area. Today Guy oversees his contractors and his team comprises of over 8 staff and 5 sub contractors. Our family owned business knows it owes our strong repuation to our un wavering commitment to customer satisfaction. Whenever you hire us for a job we ask lots of questions so we fully understand your goals and objectives. Then we will submit a written quote and follow up a few days later to discuss any questions you may have. Guy McLean is a born and bread Queenslander. His family was brought up on the Northside and he has always had a passion for the outdoors. After completing his apprenticeship he started off as a sub contractor working for many large roof companies in Brisbane and the Gold Coast. After four years in the industry Guy started what is known today as Guy McLean Roofing. When he is not busy on a building site you can normally find him at the beach with his family or on his 20 acre property in The Gap where he leases out stables for horse owners in the area. To provide a superior service to home owners throughout South East Queensland. By using the best quality roof materials and exceptional customer service we strive to continue to be one of the best and mos truedt in the industry. 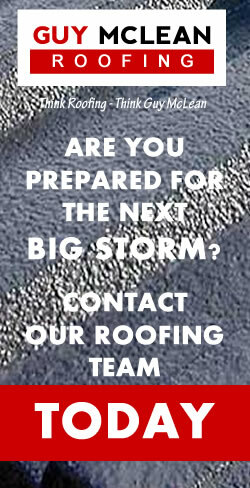 To find our more about Guy McLean Roofing and the services we offer please take some time to browse our website. For questions about services or pricing please contact us.